Guwop back!! Everywhere I go all I hear is Guwop back. It’s official, Gucci Mane is a full blown phenomenon. I don’t know what it is that draws people from all different races and different walks of life to him and his music, but cot damnit the hype train can’t stop and won’t stop. I know for me, as much as I’ve tried to hate on the man I just can’t bring myself to do it; I mean his story is a borderline urban myth at this point. He’s literally turning into the hip-hop boogeyman in front of our eyes, where other rappers are scared to even mention his name, and he gets a pass to talk as reckless as he wants to be, and I’m loving every second of it. Fresh from prison Gucci wastes no time in re-introducing himself to the public by calling out the police, the feds, and the DEA all by name in the hard hitting “No Sleep (Intro)”. Setting the tone for the rest of the album, as it’s all bass heavy beats and trap talk the rest of the way. Everybody Looking sees Gucci working with his usual suspects in producers Mike WiLL Made-It and Zaytoven, and they handle the majority of the production throughout. They provide some of their best work in years as all the beats hit hard and provide the perfect backdrop for Gucci to be Gucci. “No Sleep (Intro)”, “P**** Print”, “Waybach”, and “Pop Music” in particular will put your sub through it’s paces with all the bass and hard kicks. Guest appearances are at a minimum here as only Young Thug, Kanye, and big wave rider Drake are the only other people to have a verse on the album. So for better or for worse, Everybody Looking is all Gucci all the way through. Lyrics and lyrical content were never something you looked for in a Gucci Mane album and that narrative doesn’t change any here, but there are some rare instances where he gets surprisingly candid and personal. In particular when he starts discussing his drug addiction and getting robbed. These are rare instances however, as it’s all trap rap from the self proclaimed trap god the rest of the way. Prison has seemed to have a positive effect on Gucci Mane the person as he’s kicked his addiction, come out looking like a shooting guard, and sounding more intelligible than ever. But one thing prison hasn’t changed is his music. Everybody Looking is the same old Gucci you either loved or hated before. An album full of trap talk, personality, and hard beats. So love him or hate him, Gucci is like a good disaster flick; you know it probably won’t end well, but you just can’t turn away. Are you glad Gucci’s home? What’d you think about Everybody Looking? Everything you wanted or too much of the same? Let us know in the comments and leave your rating for the album. 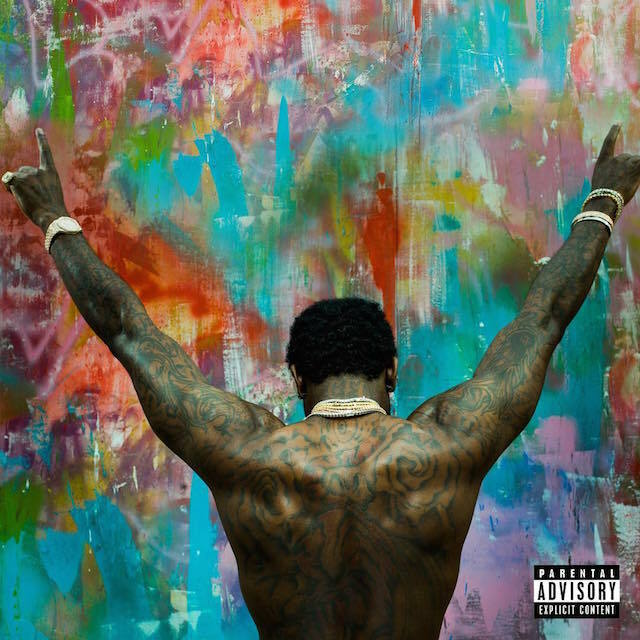 Everybody Looking is everything you want from a Gucci Mane album. Hard beats, personality, and trap talk. Love him or hate him, Guwop back!